We are a group of young people from the Children's Society. We have been discussing issues to do with growing up and being involved in decisions. 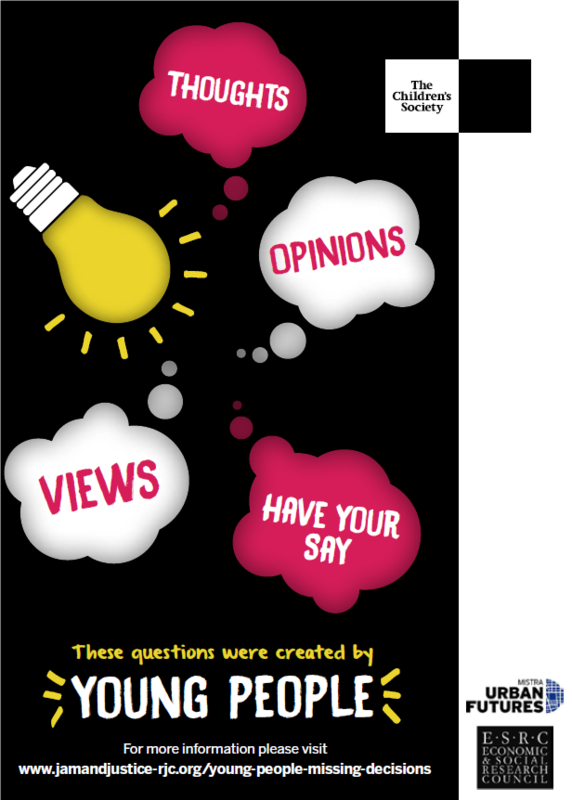 We now want to ask other young people about their views and opinions on two of the subjects we have discussed. We would like to know what you don't get taught at school and college that you think you should know about? Also what are the isues that young people care about and why do young people care about these issues? We will put the results we get on this website for you to see. We also plan to get the attention of MPs, councillors and other decision makers to highlight what young people think. To find out more about this Jam and Justice action research project, email our ARC members: Paul Maher or Beth Perry.